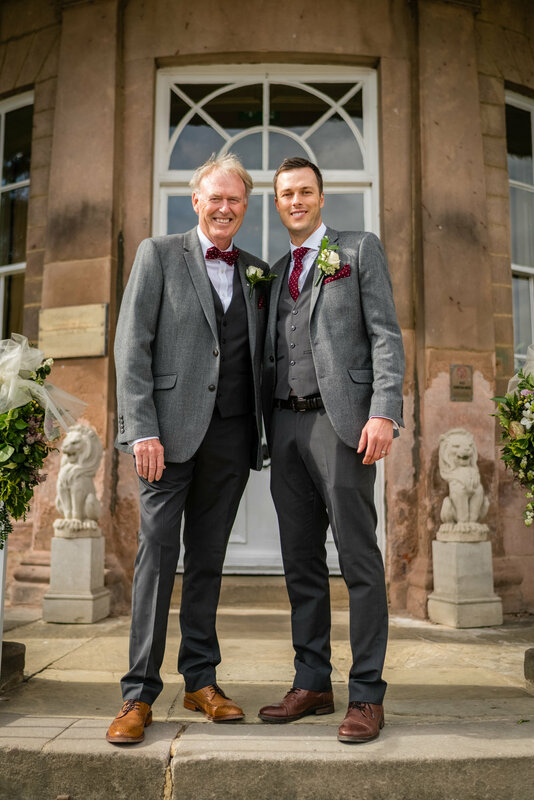 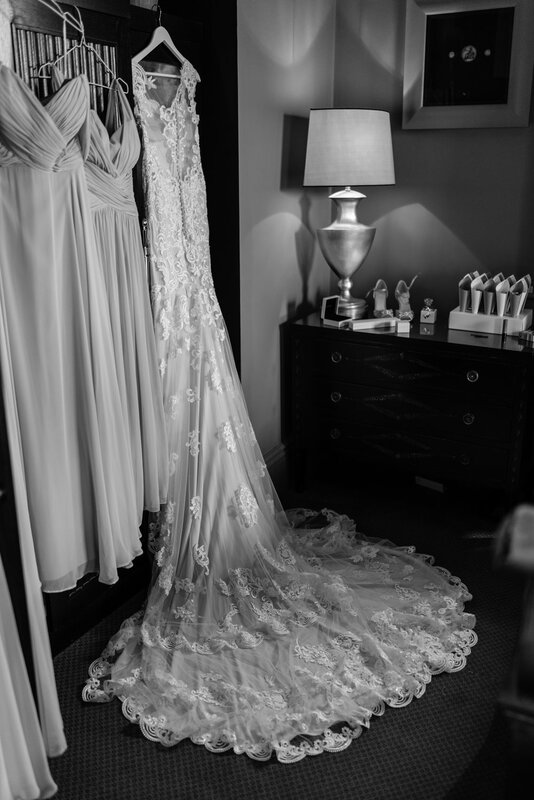 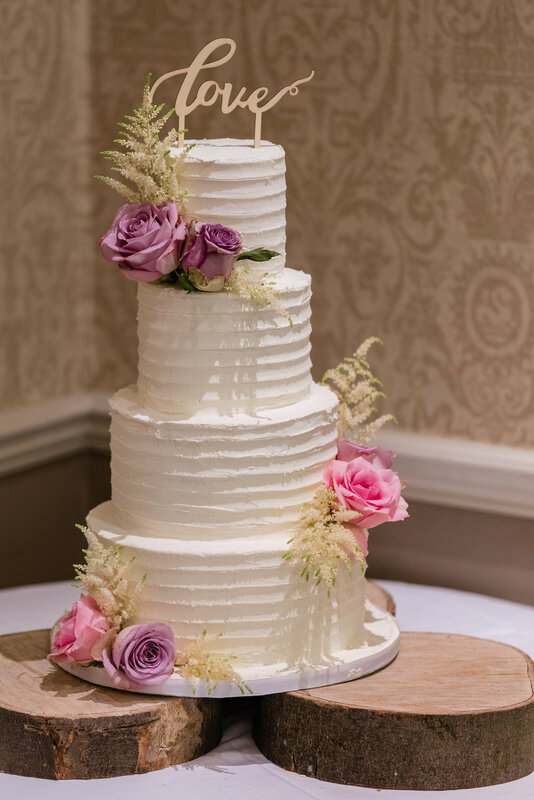 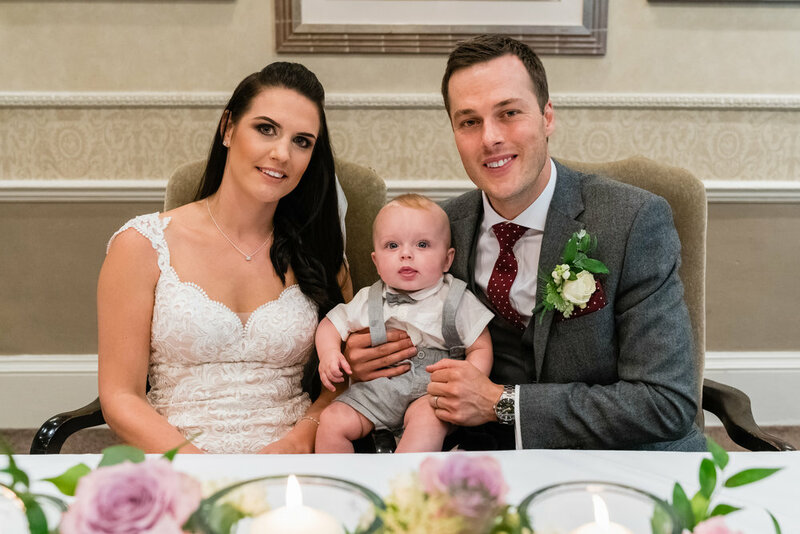 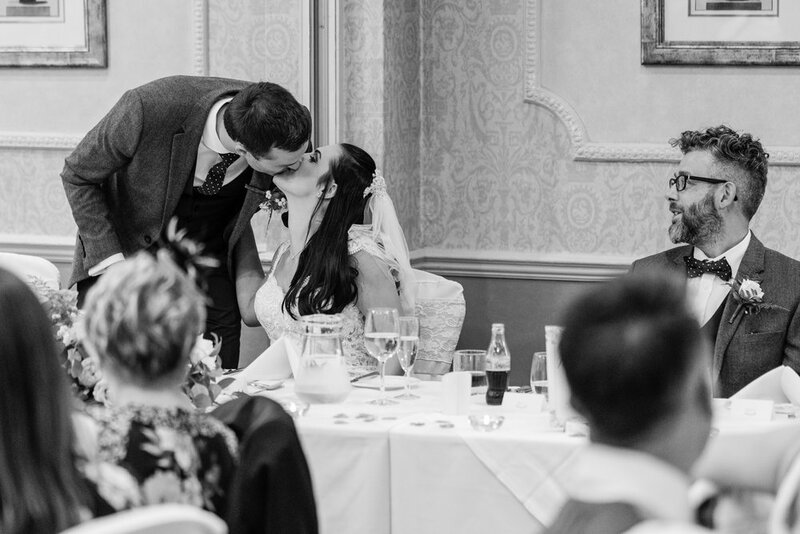 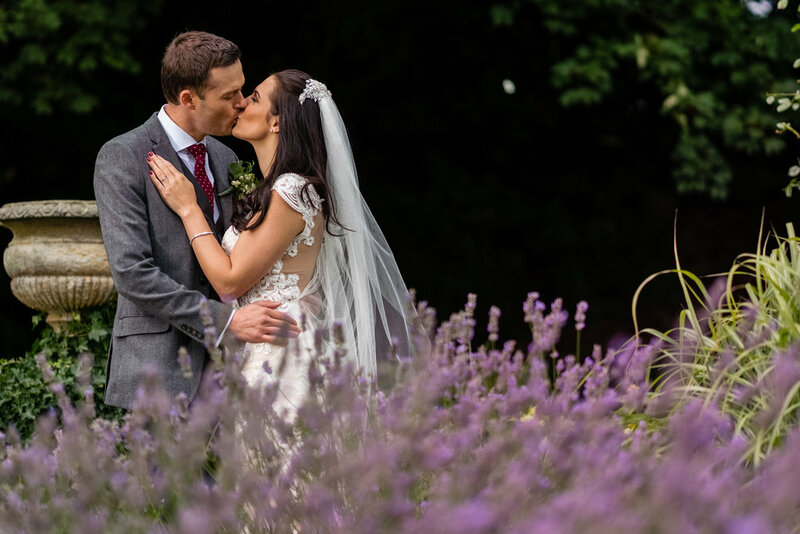 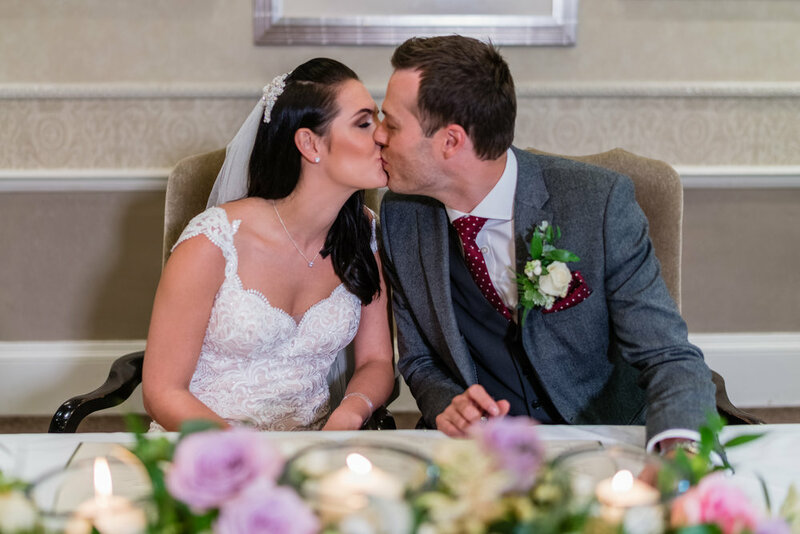 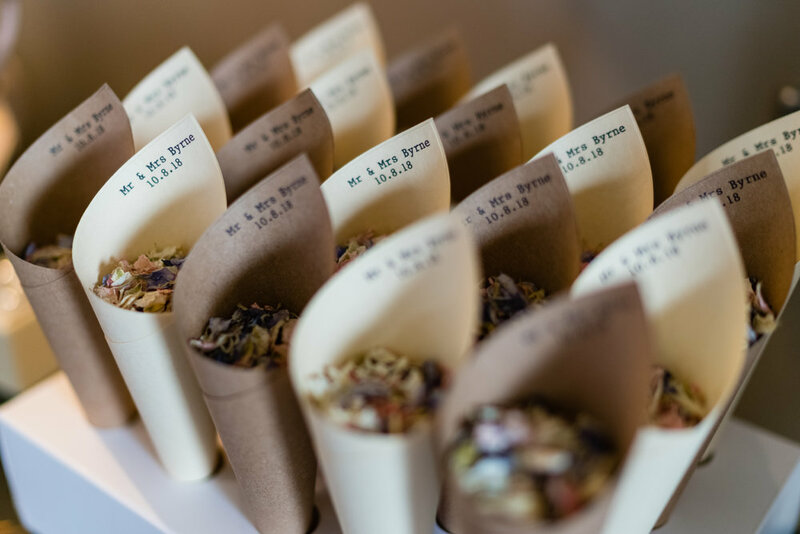 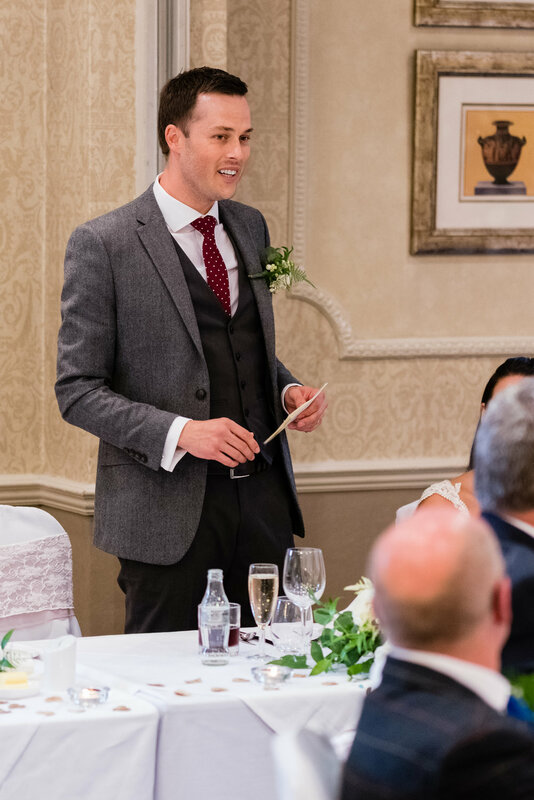 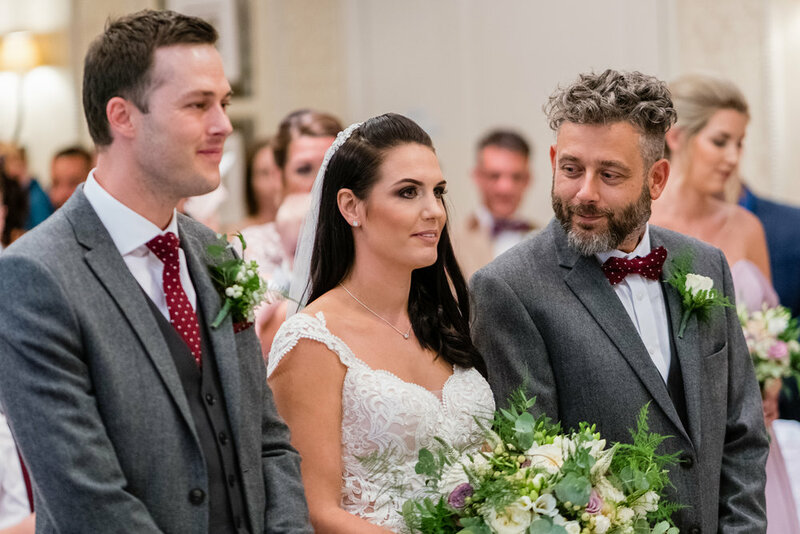 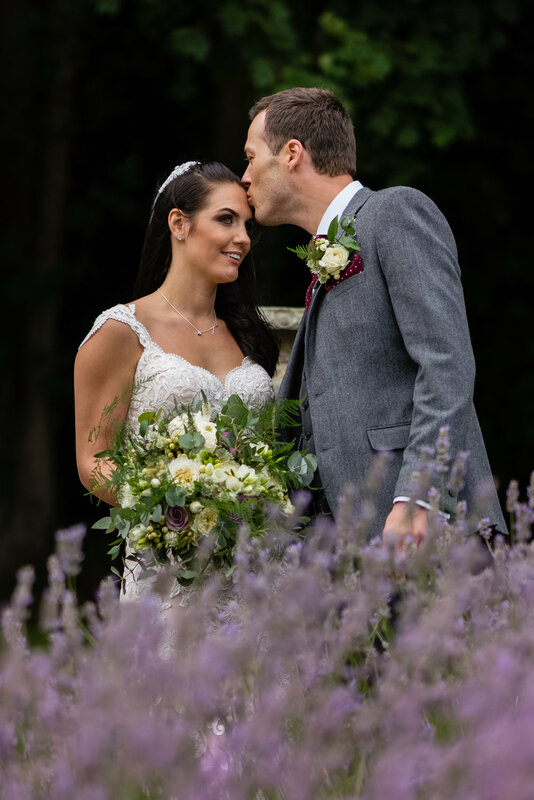 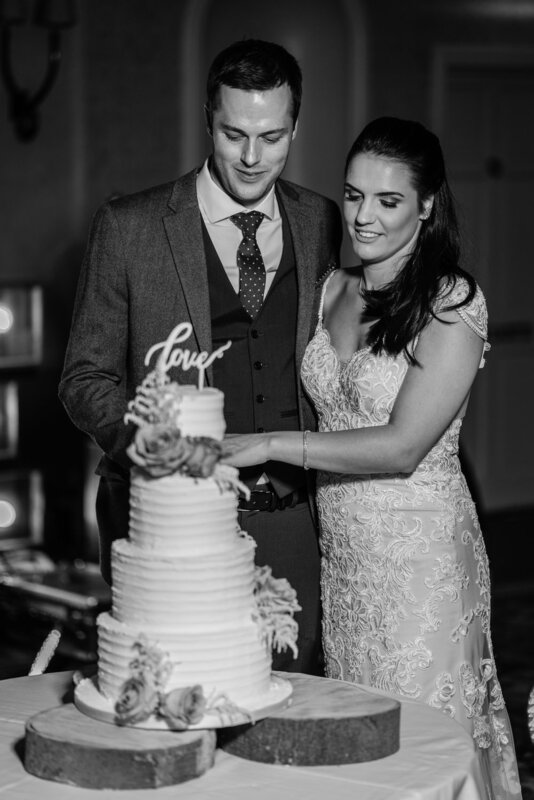 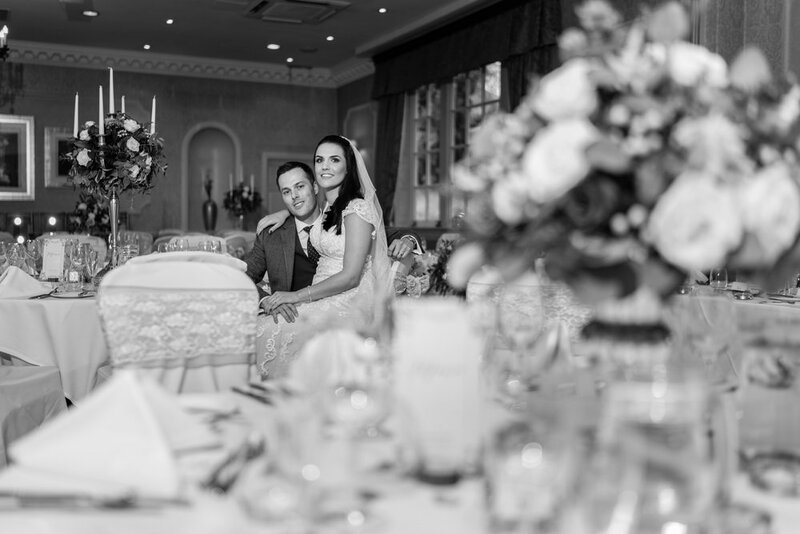 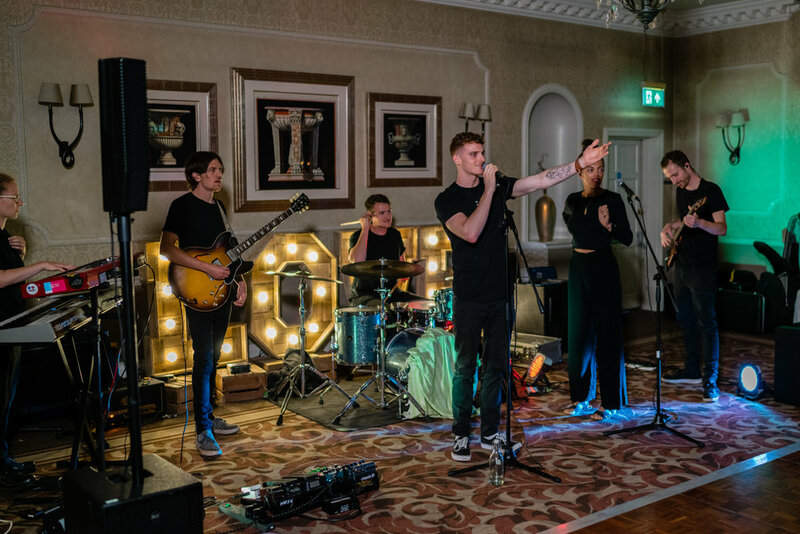 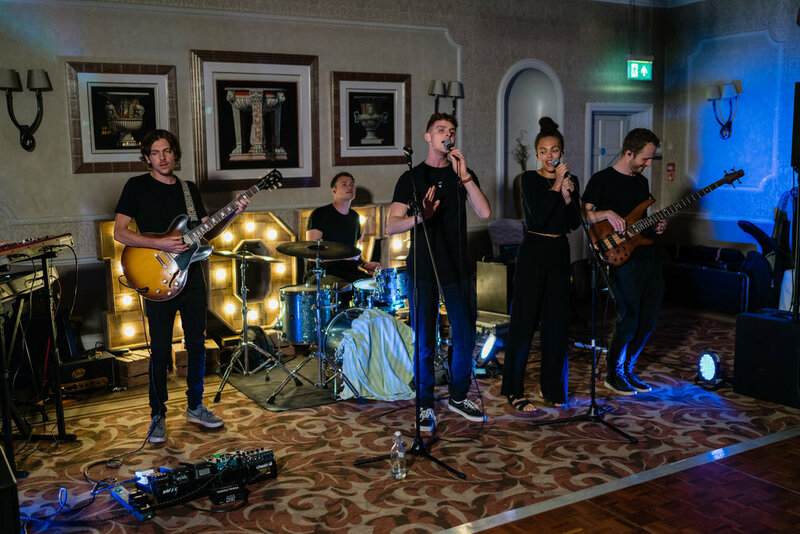 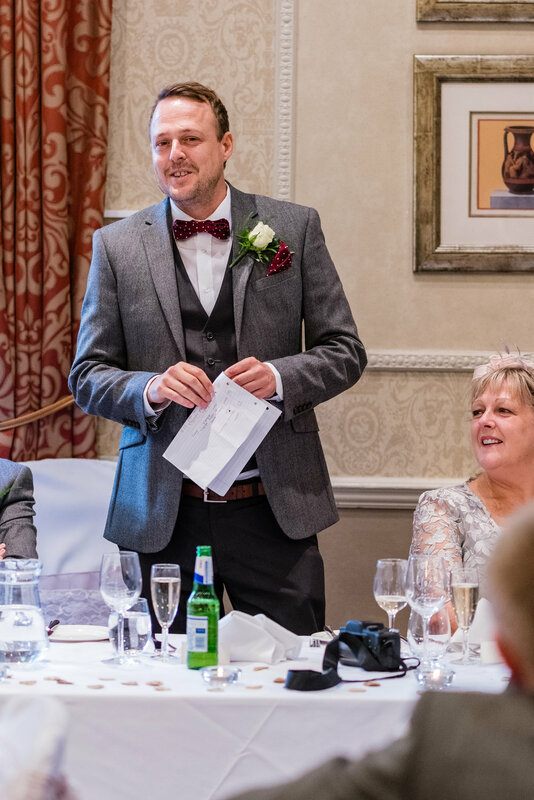 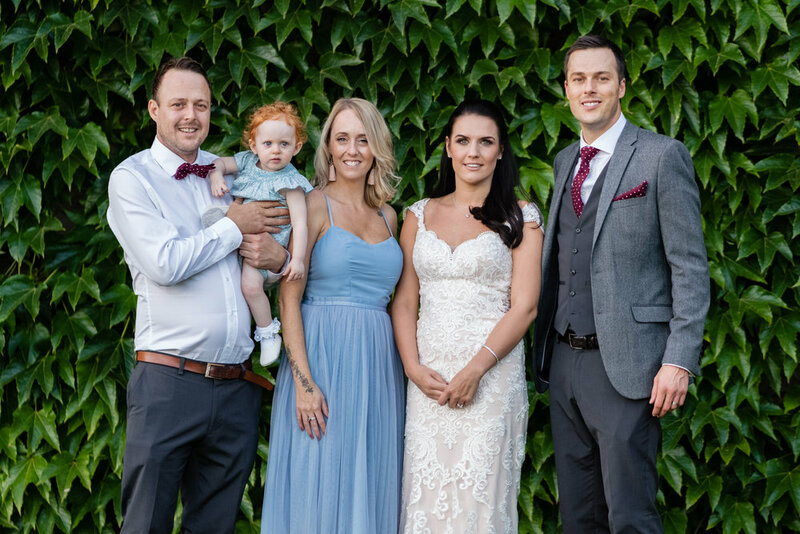 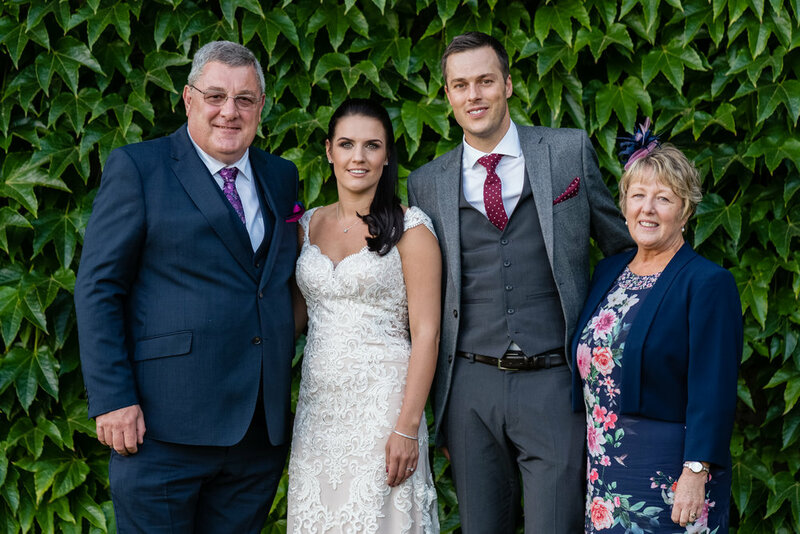 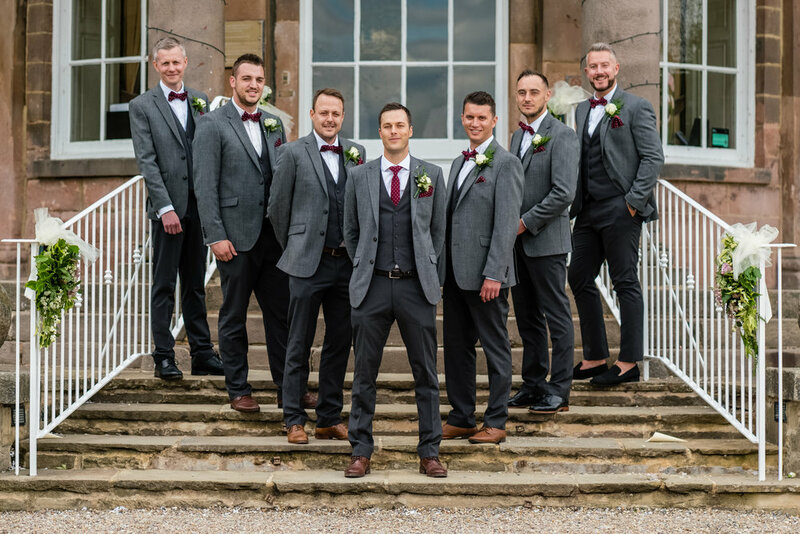 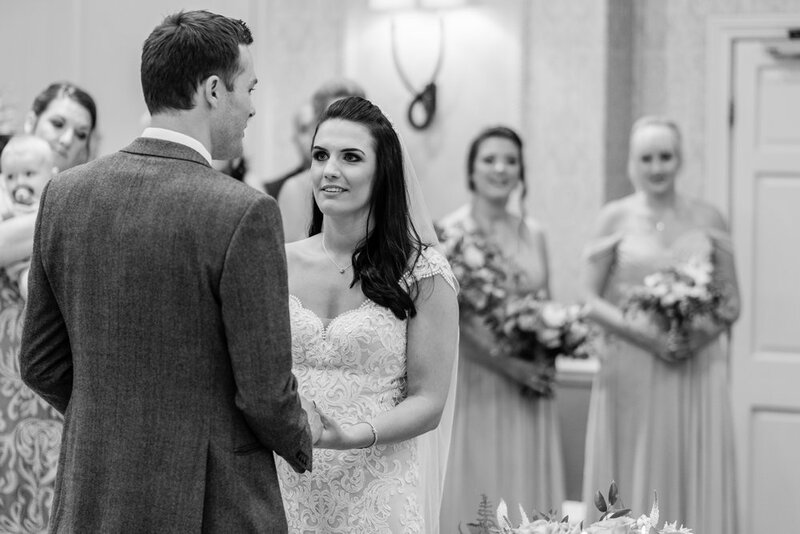 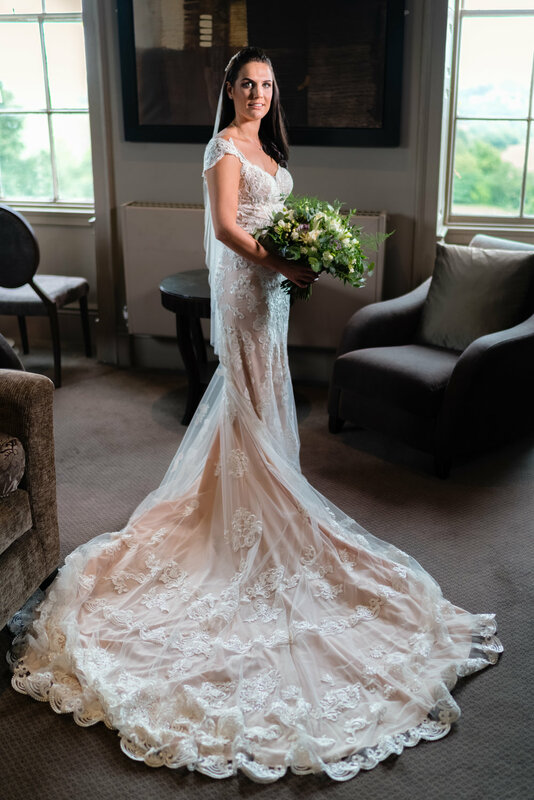 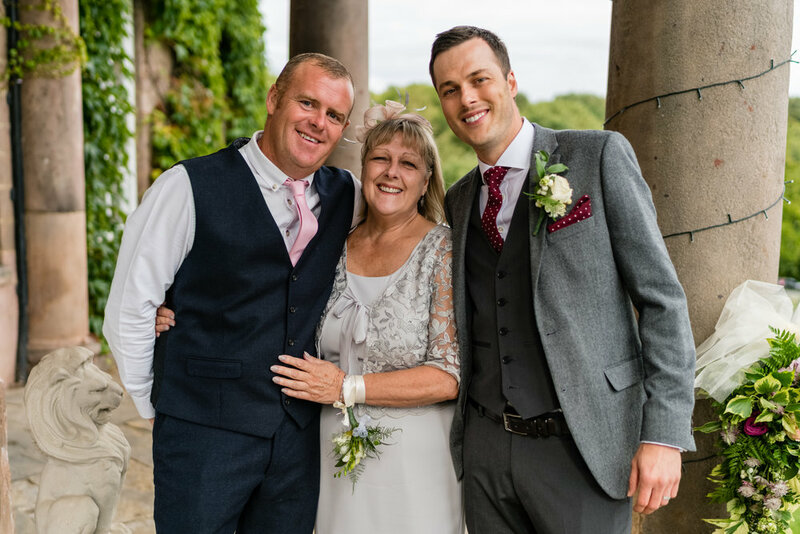 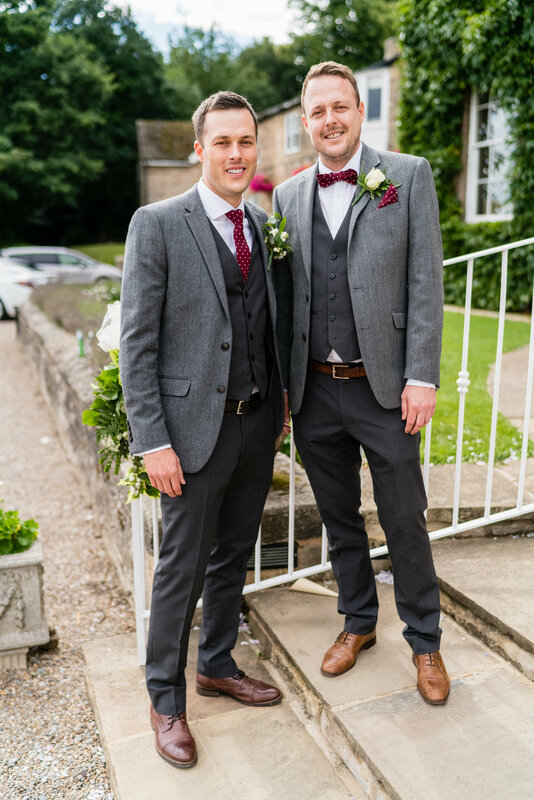 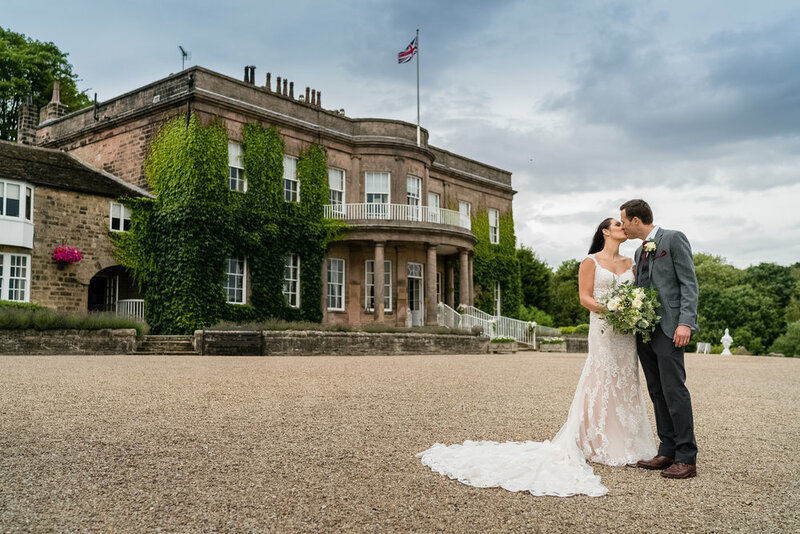 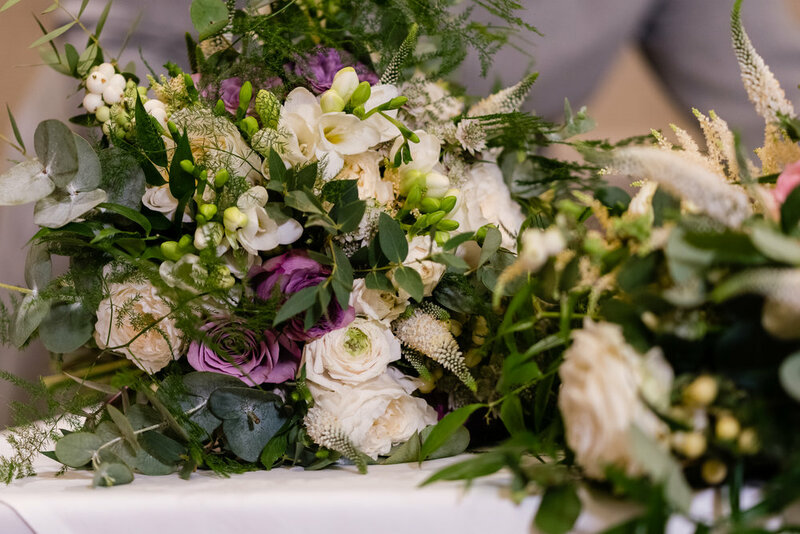 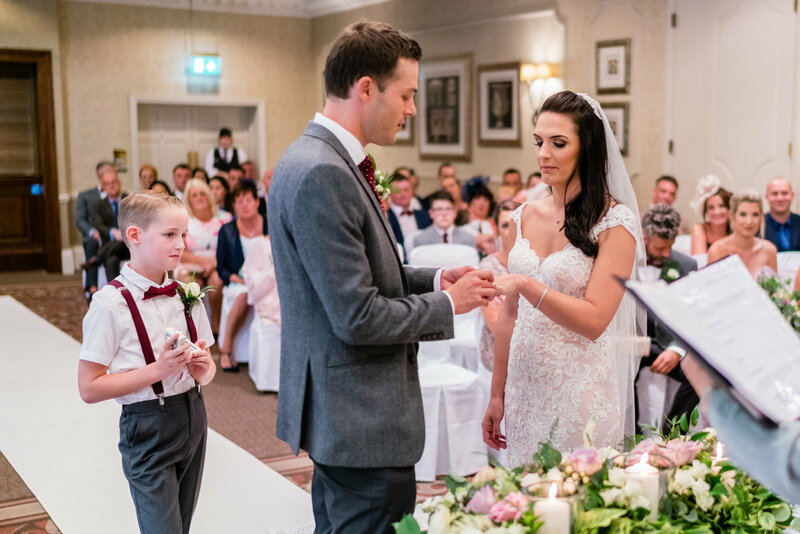 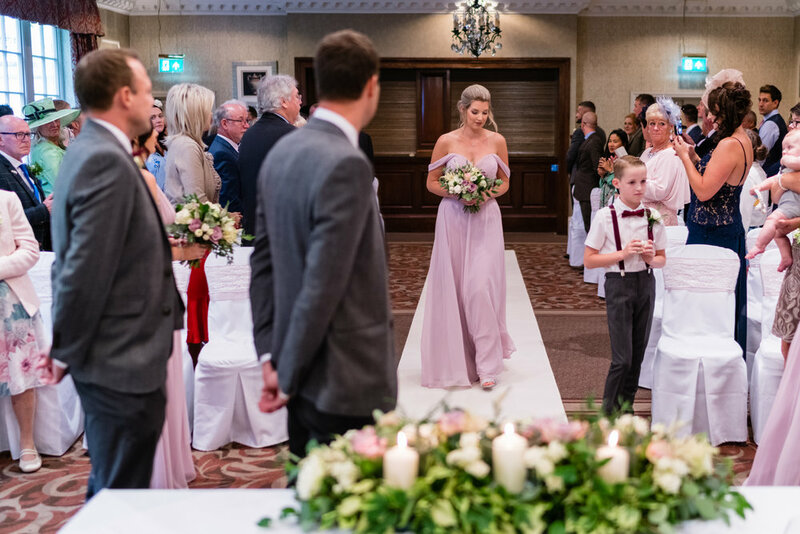 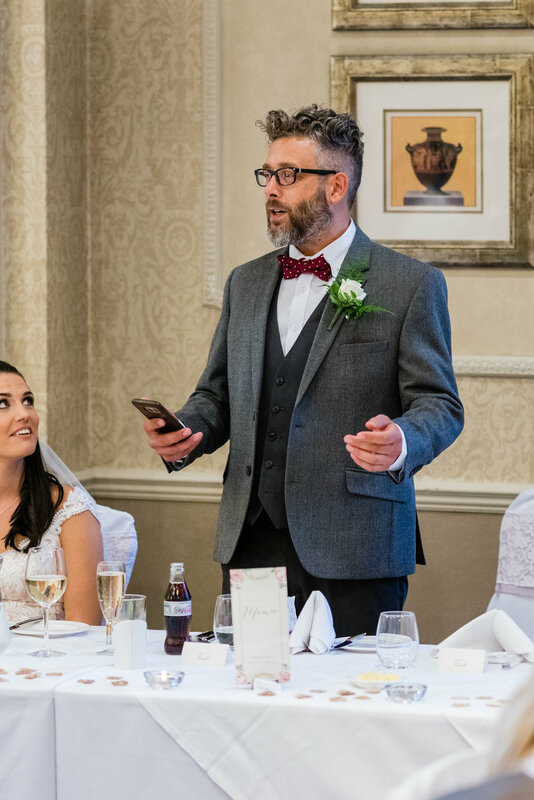 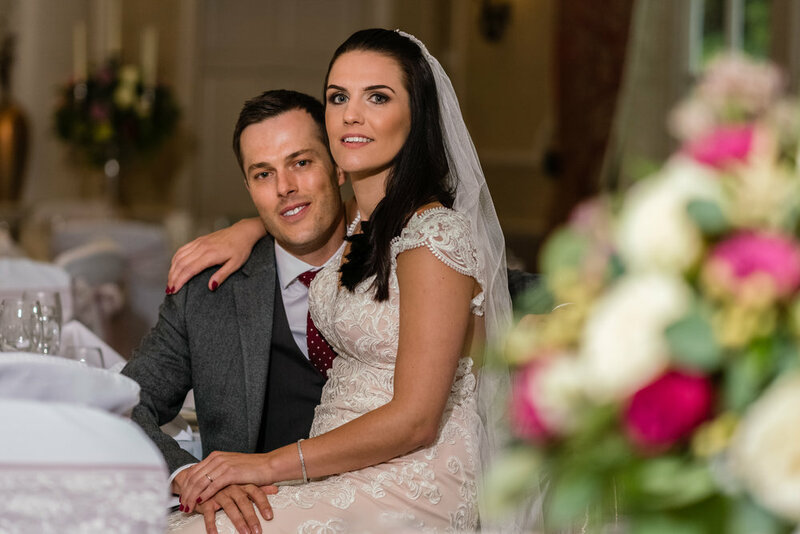 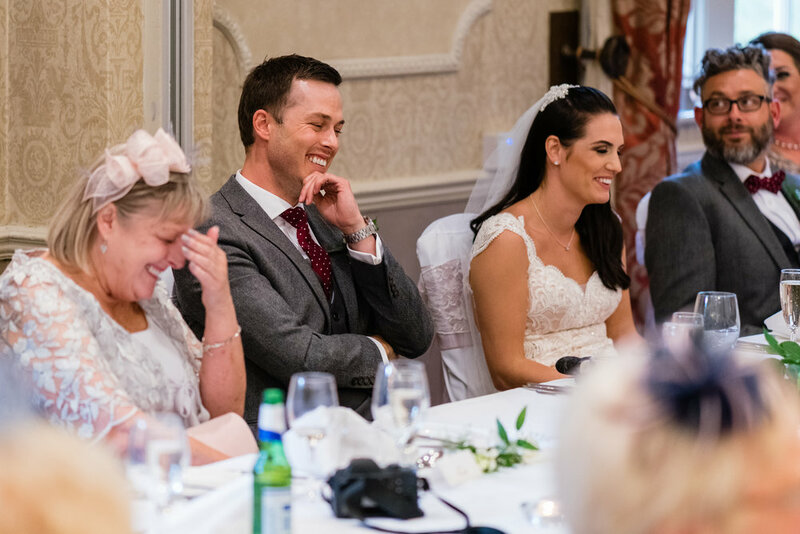 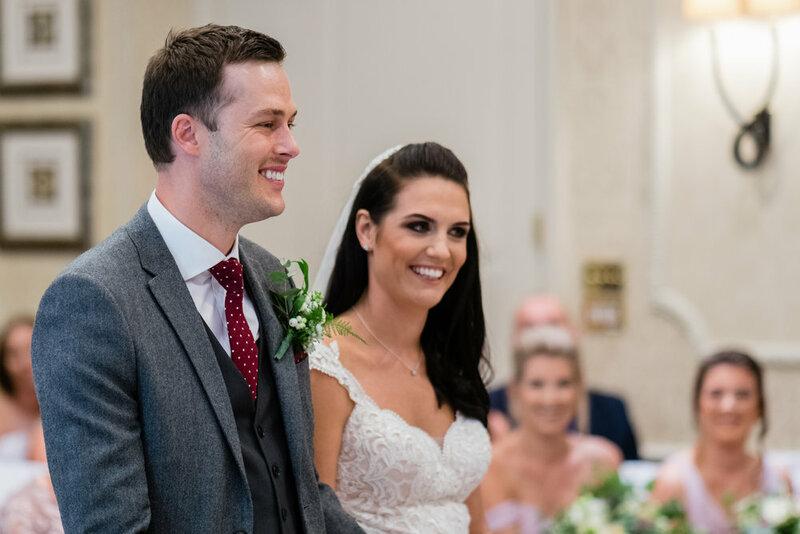 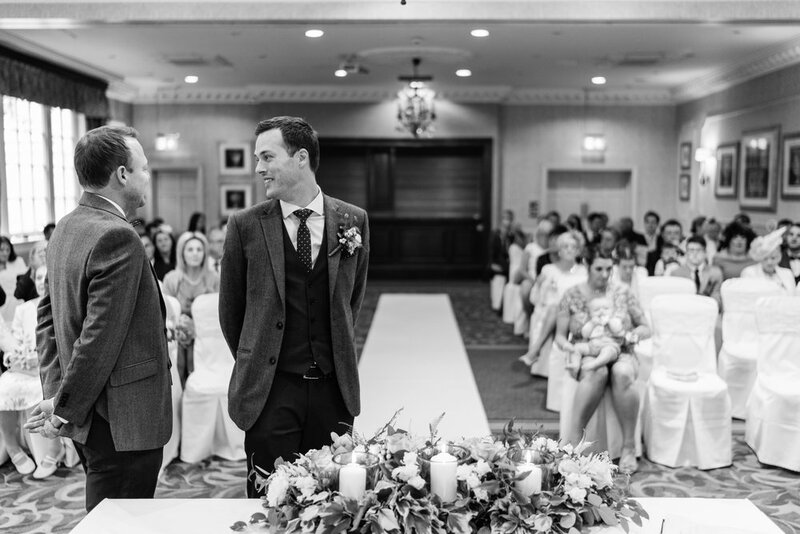 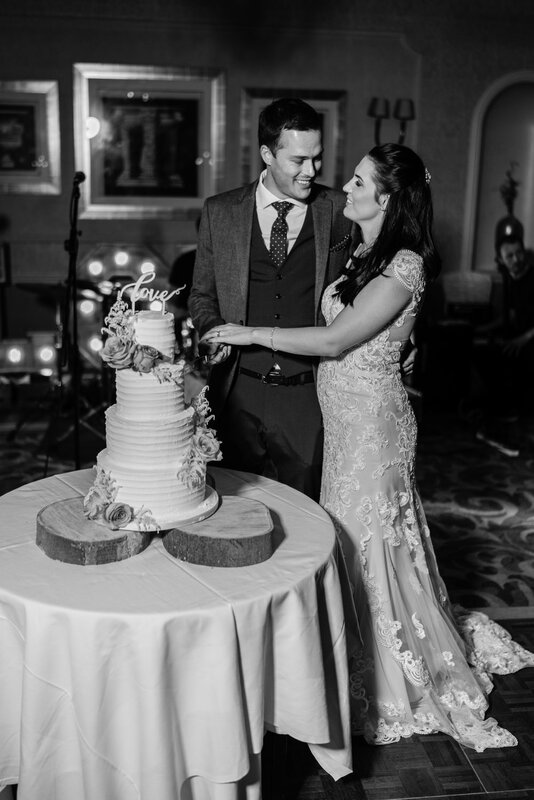 Michaela & Tom were married on the 10th of August 2018 at the beautiful Wood Hall Hotel & Spa near Wetherby surrounded by stunning views of the Yorkshire countryside. 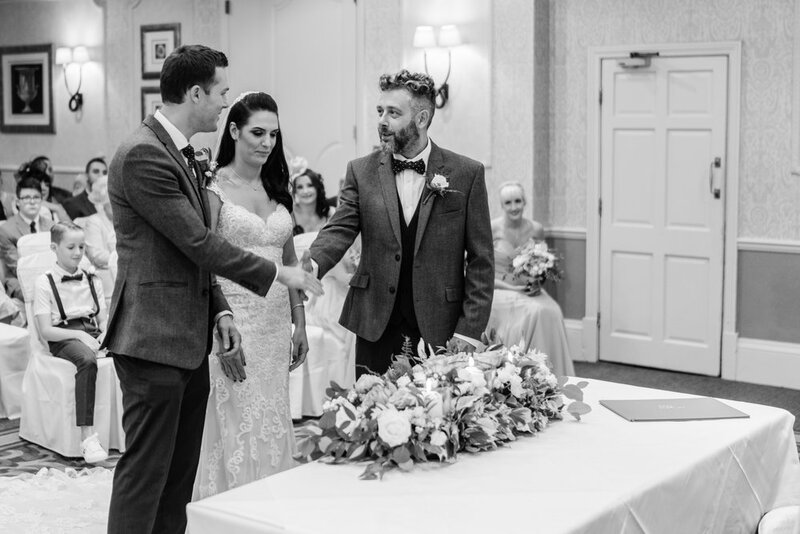 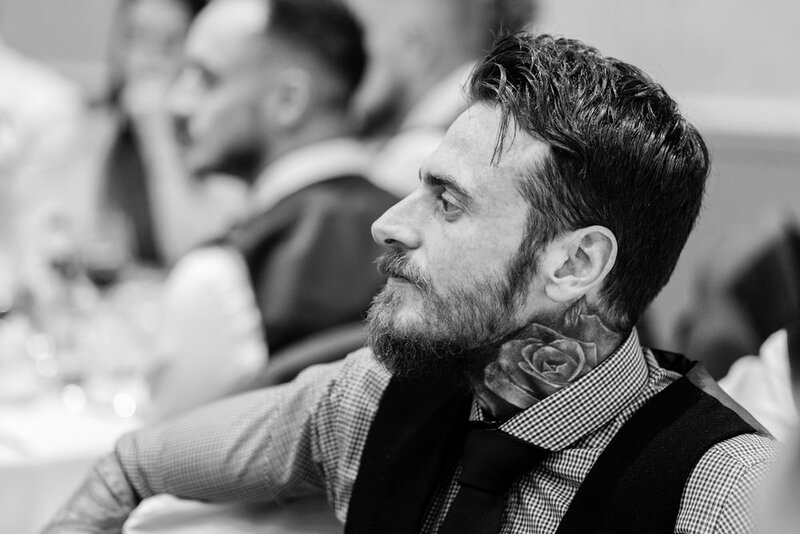 Although they had planned for an outdoor wedding the weather took a turn for the worst 20 mins before the ceremony so everything had to be quickly moved indoors, however it didn't dampen anyones spirits (pardon the pun). 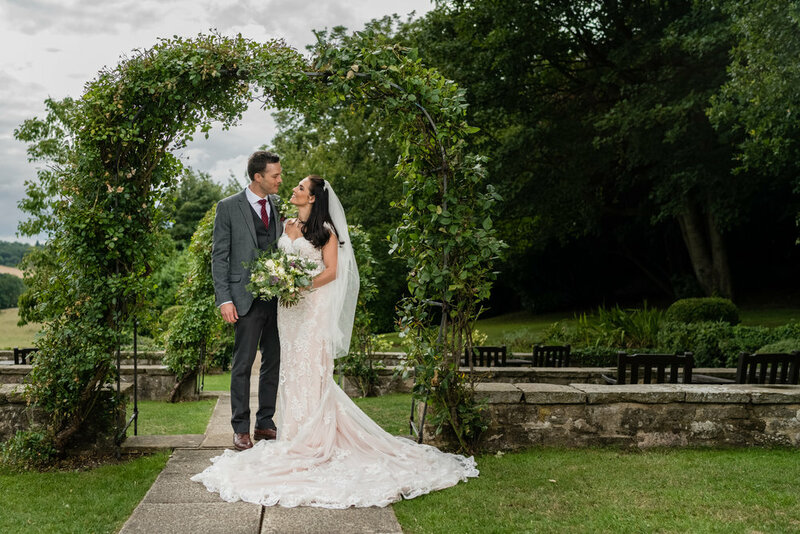 On the plus side the moody sky did make for some amazing photos so on this occasion every cloud really did have a silver lining.